Comitrol® Processor Models 3600 - 3675SL - Urschel Laboratories, Inc. Recommended for a wide variety of food applications such as meats, poultry, fruits, vegetables, and cheeses as well as chemical and pharmaceutical products. The Comitrol Processor Models 3600, 3640, 3660, and 3675 are designed for low to high capacity production environments. Each model varies in dimension, height, weight, and horsepower. 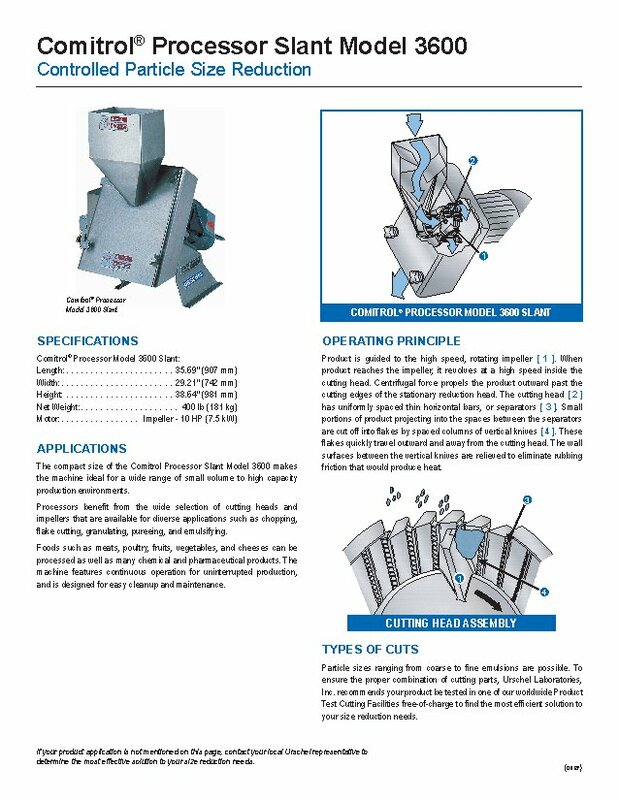 Each model features continuous operation for uninterrupted production and simplified design to ease cleaning and maintenance. 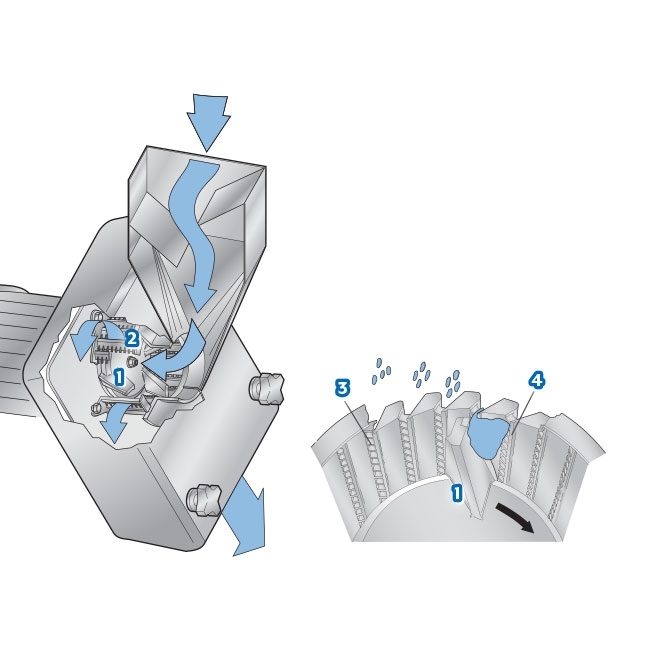 The compact size of the Comitrol Processor Slant Models 3600, 3640, 3660, and 3675 makes each machine ideal for a wide range of small volume to high capacity production environments. Each model varies in dimension, weight, and horsepower. 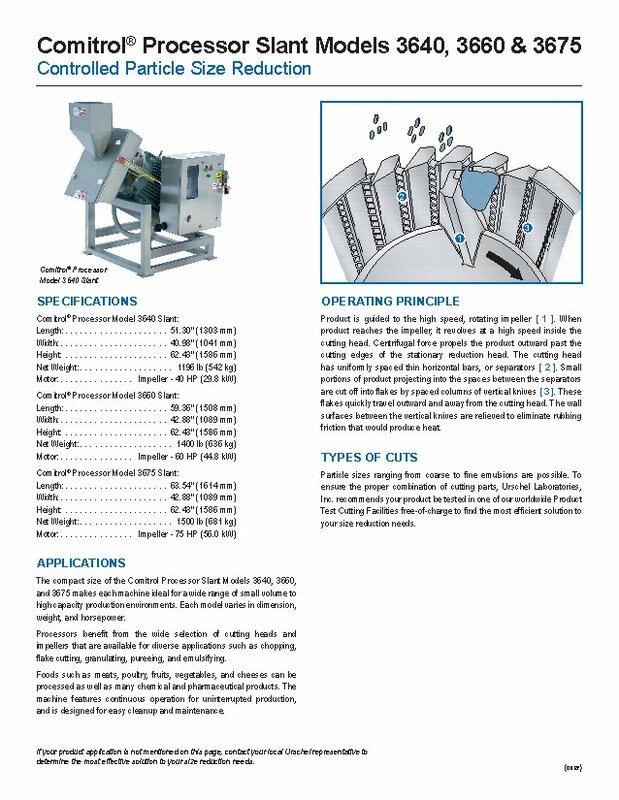 Processors benefit from the wide selection of cutting heads and impellers that are available for diverse applications such as chopping, flake cutting, granulating, pureeing, and emulsifying. Foods such as meats, poultry, fruits, vegetables, and cheeses can be processed as well as many chemical and pharmaceutical products. 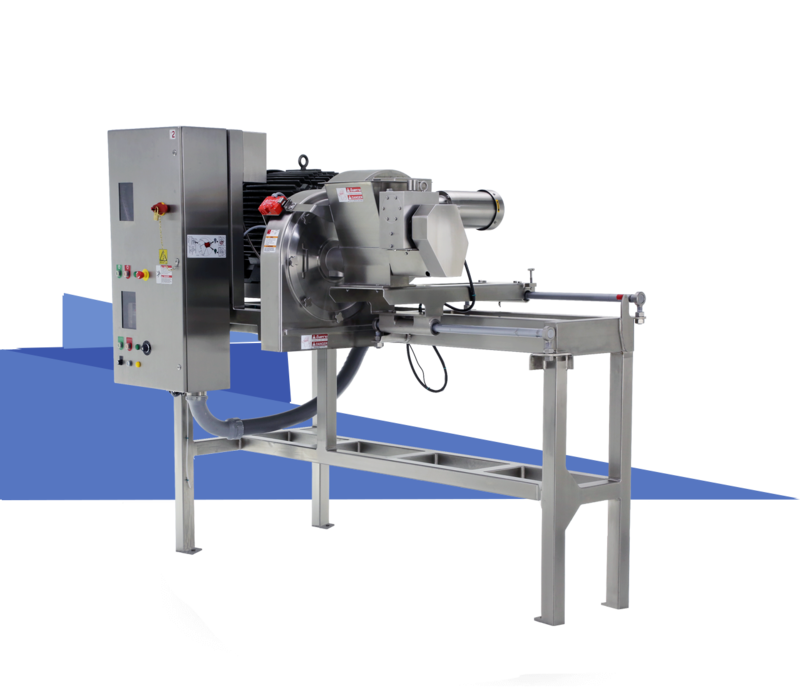 The machine features continuous operation for uninterrupted production, and simplified design for easy cleanup and maintenance. Particle sizes ranging from coarse to fine emulsions are possible. 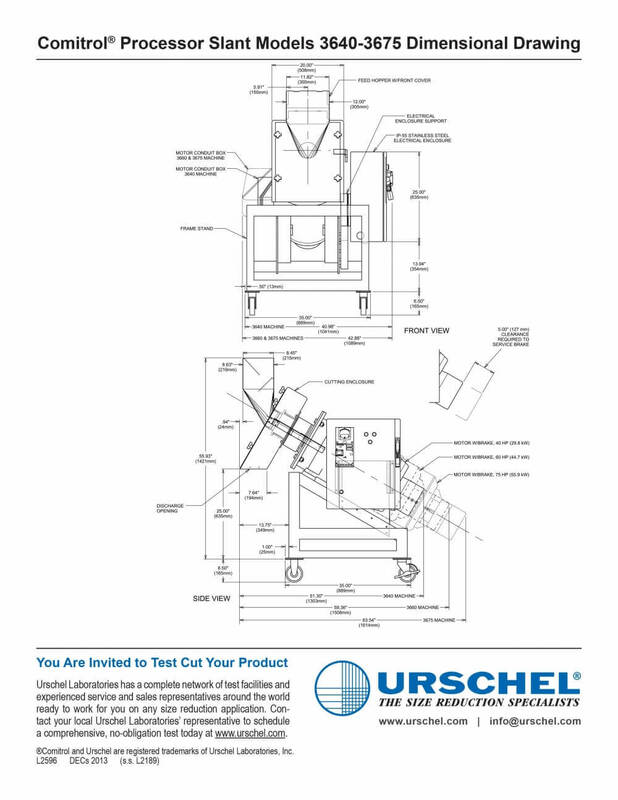 To ensure the proper combination of cutting parts, Urschel Laboratories, Inc. recommends your product be tested in one of our worldwide Product Test Facilities free-of-charge to find the most efficient solution to your size reduction needs.